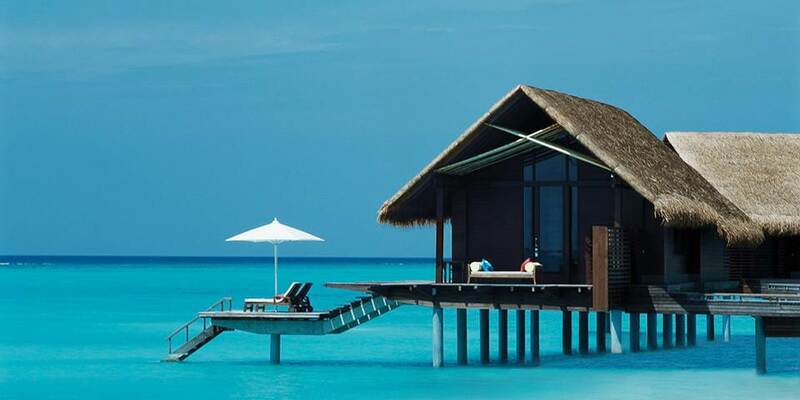 One & Only Reethi Rah is ideal for those who want one of the Maldives most luxurious properties with an exceptional level of style, sophistication and privacy. The journey to bliss begins on One & Only’s 55-foot luxury yacht where check-in takes place on board, the journey from Male to Reethi Rah takes approximately 50 minutes. It is set on one of the largest islands in North Male Atoll and is adorned with endless white sand coves and turquoise bays. It is an all villa retreat and all the villas are spaced far apart from each other and have direct access to the lagoon. 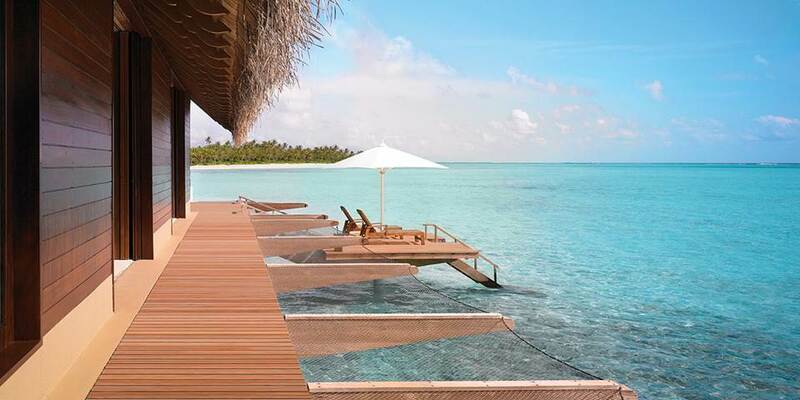 One & Only Reethi Rah definitely has some of the best service in the Maldives. 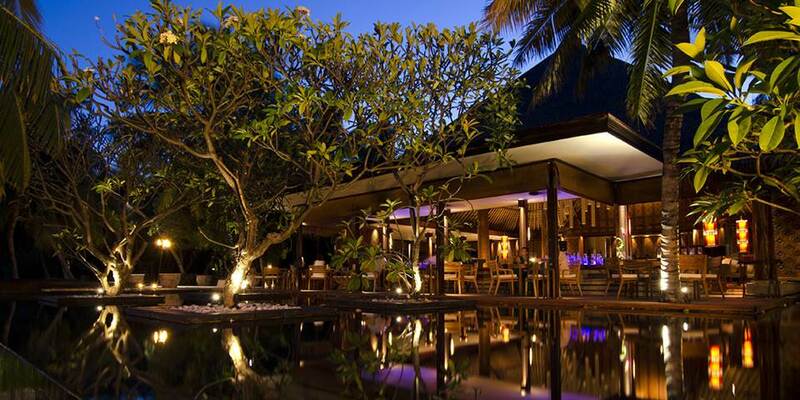 Culinary delights can be sampled at the signature Reethi Restaurant. In a thatched over-water pavilion it serves a fusion of Far East, Middle East and Mediterranean cuisine. Freshly caught sushi can be enjoyed at the over-water Tapasake restaurant; or guests can enjoy a meal at the wonderfully evocative Fanditha and dine on Arabian carpets on the sand and under the stars. With an eye towards perfection, the resort features its own organic Chef’s Garden, and speciality items such as Kobe beef and toro from Japan are shipped in twice a week. 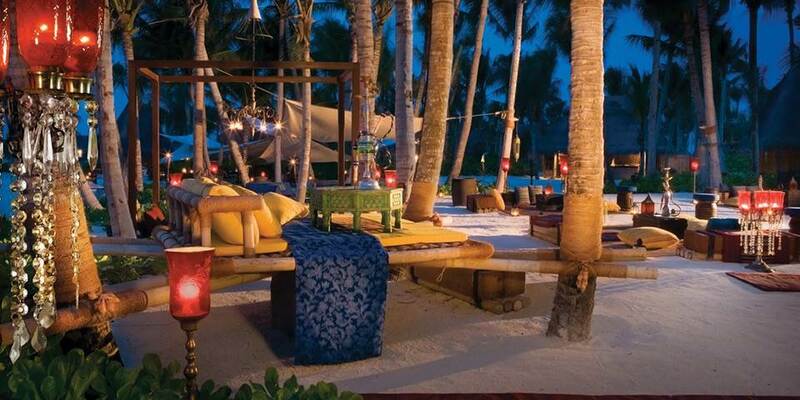 One & Only Reethi Rah offers a host of activities on and off shore. A wide range of complimentary water sports facilities are available, including canoes, kayaks, pedal and paddle boats, snorkelling and windsurfing. Guests can also enjoy guided snorkelling excursions, deep-sea fishing, parasailing, banana and tube rides, catamaran sailing and jet skiing. The Maldives is a diver’s paradise. 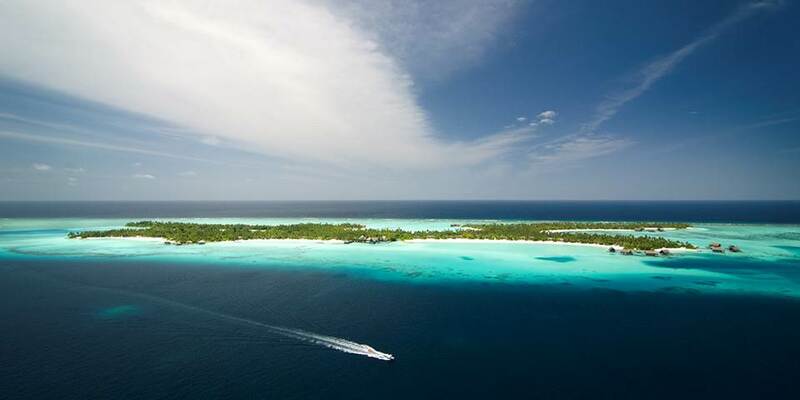 Reethi Rah is surrounded by crystal blue waters and miles of reefs. Beginners appreciate the clear seas and gentle drop-offs to deeper waters, while certified divers can discover some of the world’s best spots. The resort’s PADI dive centre also offers certification courses, as well as nitrox, rebreather and night dive expeditions. Sports include a tennis club affiliated with Peter Burwash International, yoga, Tai Chi, Pilates, cycling, bowls, a jogging track, volleyball and football. Reethi Rah also provides a state-of-the-art fitness centre for all workout regimens, complete with cardiovascular training equipment and resistance machines from Technogym. The ESPA spa presents an atmosphere of calm and tranquillity. Built around a thatched reception area with spectacular views over the ocean, it covers an area of 9,500metres², with indoor and outdoor heat experiences ranging from crystal steam rooms, stone saunas, lifestyle showers, hot pools with shoulder massage, air beds and ice fountains. 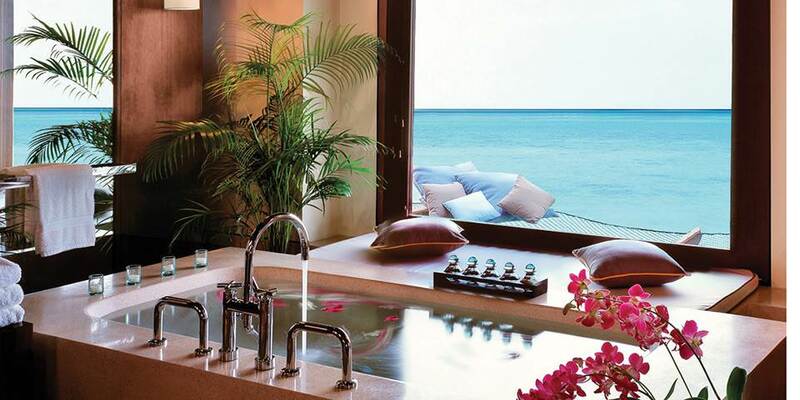 Thai massage to European aromatherapy – and offers emphasis on the Ayurvedic methods of the Indian sub-continent. 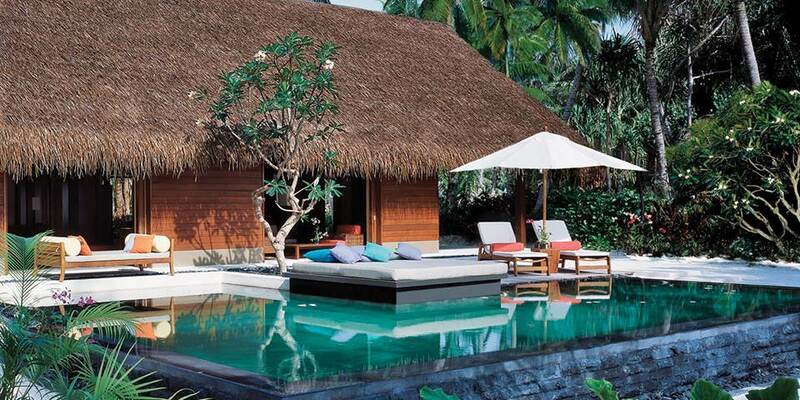 One & Only Reethi Rah is home to 130 private villas discreetly placed along the shore. 98 Beach Villas are secluded by lush tropical greenery and 32 Water Villas are set above the clear, protected waters of the lagoon. Among the largest resort villas in the world, each is detached, expansive and equally luxurious. There are high airy ceilings and generous exterior space, ranging from private verandas and stretches of beach to private swimming pools with large decks. Each is attended by a personal Villa Host; the freestanding villas feature the latest technologies and are designed with high airy ceilings complemented by bamboo arches, their spaciousness allowing for a variety of personal entertainment and dining options.